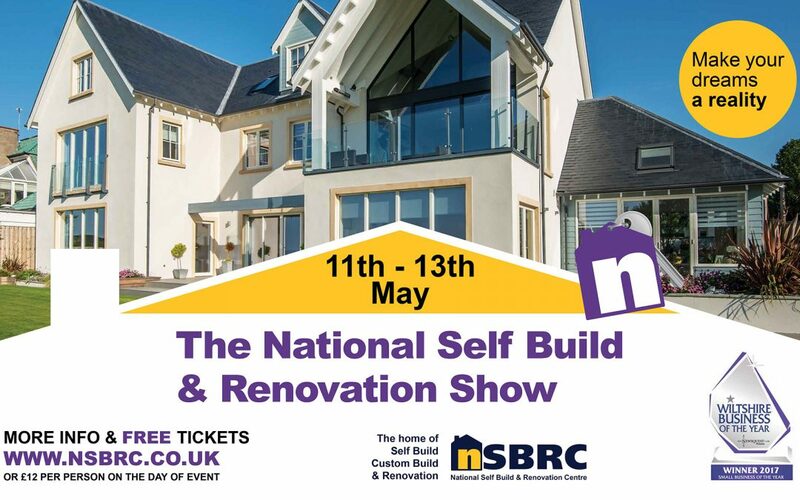 The National Self Build and Renovation Centre (NSBRC) will be celebrating National Custom and Self Build Week 2018 – which is taking place May 7th to 13th – by hosting the Spring edition of its popular Self Build & Renovation Show from Friday 11th to Sunday 13th May. One of the key aims of the week is to help more people understand how many ways there are to build their own home. From buying a plot and commissioning a bespoke new home (as popularised by Channel 4’s Grand Designs) through to the DIY self-build option. Self and custom build is no longer just for the privileged few, thankfully. At the NSBRC’s National Self Build & Renovation Show, over 250 exhibitors will be showcasing the very latest building products and technologies on offer. There will be experienced representatives on hand to demonstrate, answer questions and provide professional advice. The centre will also be holding a series of events and tours to help encourage people to find out more about pursuing their ambition of building a home. Harvey Fremlin, Managing Director at NSBRC, says: “We’re delighted to support National Custom and Self Build Week with our Spring show. This year, we’ll be holding more seminars and live demonstrations than ever and our New Build Journey Tour will help anyone interested to visualise what building their own home entails.